"The authors of this remarkable book deserve great credit for documenting so persuasively the destruction of human lives that has resulted from the laws prohibiting the use of marihuana for any purpose. No one can read this book without feeling outraged at the inhumanity of which bureaucrats are capable in inerpreting a bad law." "The public will be well served by reading this book." -- Stephen E. Sallan, M.D. 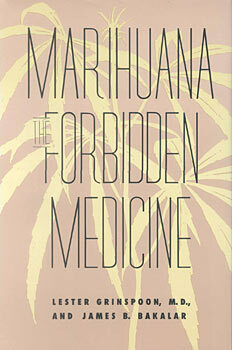 This is a highly readable, well documented, and thorough account of the many potential uses of marihuana in contemporary medicine, a must read for all those interested in herbal medicine, natural health, and drug policy. How foolish we have been to deny ourselves the benefits of a plant that has alleviated so much suffering throughout history and is so much less toxic than many of the synthetic drugs doctors prescribe so readily!